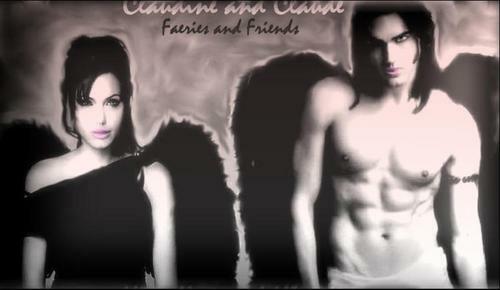 Claudine and Claude - Faeries. . Wallpaper and background images in the ट्रू ब्लड club tagged: true blood fairies faeries claudine claude. This ट्रू ब्लड fan art might contain चित्र, headshot, closeup, हेडशॉट, क्लोज़अप, त्वचा, skintone, नंगा रंग, आंशिक तन, निहित नग्नता, स्कंटोन, नग्न रंग, आंशिक नग्नता, and अव्यक्त नग्नता.